Are you on the lookout for innovative flooring solutions? What are your thoughts on concrete polishing? Does the polish equal your investment? Concrete polishing is a very cost effective solution in the current world. It removes the need of replacing your olden floor after some time. Polishing concrete has become a common choice for everybody that wants no-wax or epoxy flooring material. Advancement in technology has made superior and easy. Due to the most current advances in polishing equipment and techniques, both old and new concrete floors are getting a high-gloss finish that does not require waxes and coatings. Due to excellent performance, resilience, and durability of the concrete polish, many retail, warehouses, and offices are choosing polished concrete. It is possible to polish your concrete slab regardless of age. Also, there is no need of using special acidic agents to prepare your surfaces. In this procedure, close to twelve steps are involved in grinding the surface. This is helpful in getting a surface that is dense. The surface then gets polished by use of metal diamond grids and resin diamond. In cases of special needs, floor hardeners and surface coatings are employed to obtain the right sheen. Several advantages come with concrete polishing for your floors over other alternatives. Floors made by concrete are durable and strong. Floors do not stain easily. Also, they are prone to split and cracks like linoleum and tile. Additionally, it is not necessary to change your flooring from time to time like the cases of stone, marble, PVC, or carpets. With regular maintenance and proper care, you will get the best performances for many years. Concrete floors that are well maintained can exist for a very long period. Different features make them affordable and suitable as a flooring option in the long and short run. Concrete floors have a dense surface that helps in the prevention of chemical and oil penetration to the surface. As a result of this feature, concrete floors are good for industrial, commercial, and warehouse applications. Since flooring is resistant to abrasion, it can be tuned with the standards of the industry. Regular cleaning and mopping will make sure that concrete polishing floors are less slippery when compared to other substitutes of flooring. Besides performance and durability, you will get superior aesthetics. 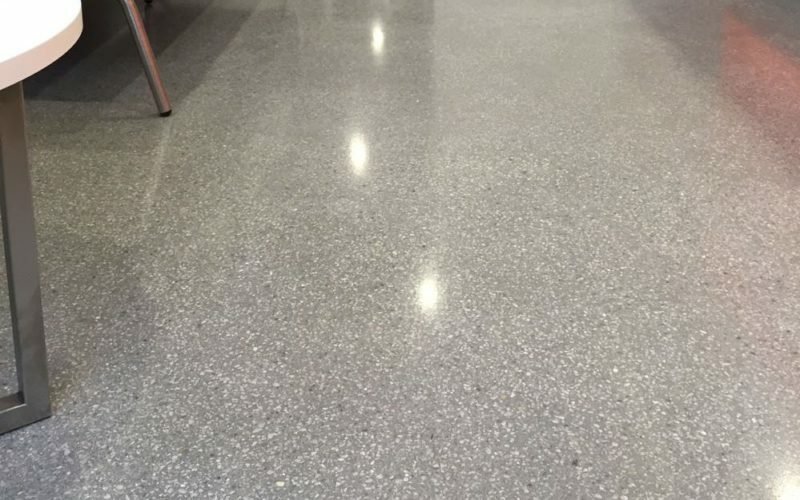 Unlike other flooring types, excellent concrete polish looks can get preserved with ease with minor maintenance. The high-quality gloss and finish make floors best suited for diverse purposes. What are you waiting for? 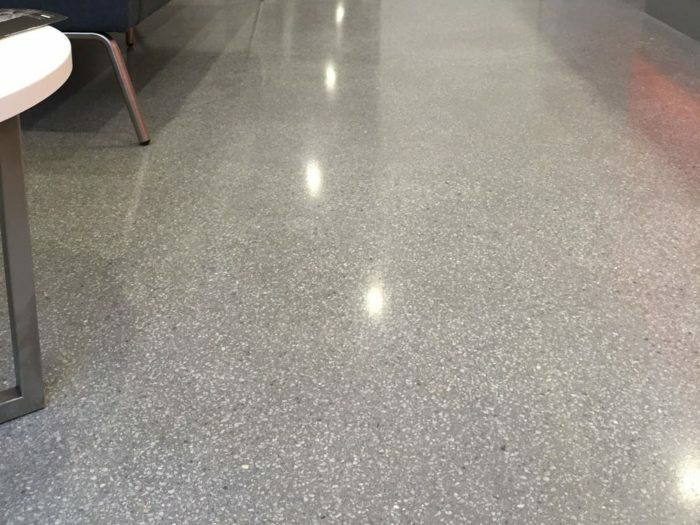 Regardless of if it is in the shop, house, or mall, polished concrete is the option for flooring. These floors do not cause issues when exposed to oil, grease, or dirt. In the event of spills, which may cause stains, these floors need thorough wiping with the right detergent and will end up restoring their appeal. The polish repels dust, lowering associated with cleaning surfaces for the office or home. Cleaning minimizes the requirement of hazardous chemicals, just like in the case of other floors that lose their appeal after some time. Immediately after finishing the floors, many people discover that some sections wear faster than others. This is common when particular areas of the home have so much traffic as compared to others. At times, mats of the floor reduce these effects. Nonetheless, permanent solutions are available with the polish. While polishing, you can select diamond options or standard solutions. Floors that are polished are expensive but last for long. They are perfect for high human traffic like floors of the office. Polish leave the floors with a finish that is similar to the mirror. It blocks concrete porosity. It keeps moisture out and prevents mold growth, which makes the new floor seem old. For industries, polishing prevents marking of the tire like the ones caused by forklifts. Concrete polishing allows your floors to withstand all types of weather and are perfect for both outdoors and indoors. Winter destroys these floors because of thawing and freezing. Without the sealer, the floors will crack and end up losing their appeal. You will have to carry out regular repairs in winter. 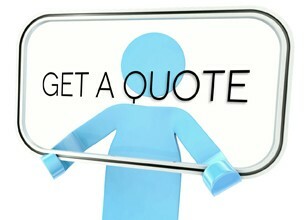 Concrete polishing is perfect for insulating heat in your rooms. Good heating reduces costs of energy for keeping your rooms warm. Also, these floors are resistant to fire. This makes sure that the damage is minimal. The mirror effect of these floors allows light to bounce to illuminate the room, which is a perfect strategy of keeping molds off.